NextSick and tired of sleepless nights? 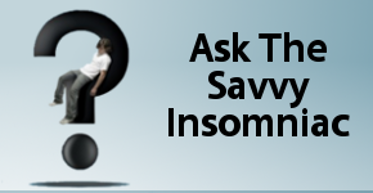 Every November I hear increasing numbers of complaints about insomnia. Some people say they feel sleepier in the evening, go to bed early, and wake up at 3 a.m., unable to get back to sleep. Others toss and turn for hours before falling asleep only to oversleep their alarm clocks. A new meta-analysis suggests that bright light may be an effective form of therapy for insomnia all year round. But the effectiveness will depend on several things, including the timing of the light exposure and the intensity of the light. Here’s more about it. Night owls tend to fall asleep and wake up quite late, missing morning activities. Their body clocks run slow, completing a daily cycle every 25 to 26 hours. Treatment calls for use of a light box immediately on waking up. Early exposure to bright light shifts their sleep cycle to an earlier hour and helps synchronize their circadian rhythms to the 24-hour day. Early birds are usually struggling to keep their eyes open after 8 p.m. Their body clocks run fast, completing a cycle every 23 to 23.5 hours. The usual advice to early birds is to use the light box in the evening to postpone sleep and tune their internal rhythms to the 24-hour day. People with sleep onset insomnia—trouble falling asleep at the beginning of the night—may have a mild version of the night owl problem. Our body clocks may run a little bit slow, completing a cycle once every 24.5 hours (rather than every 24 or every 24.2 hours, which in humans is the estimated norm). In certain situations—reduced exposure to light; sleeping in on weekends; working evening shifts—our internal sleep–wake rhythm may move farther and farther away from the daily alteration of daylight and darkness, exacerbating our trouble falling asleep. Likewise, older adults who are increasingly prone to nod off after dinner may wake up feeling wired at their usual bedtime and have a tough time returning to sleep. Or if they do succeed in sleeping through the night, like early birds, they may not be able to sleep past 3 in the morning. Light can have a phase-shifting effect on the circadian system and blocks secretion of melatonin, a hormone associated with the night. So bright light may be used to shift sleep to a slightly earlier hour (which may help sleep onset insomniacs) or to prolong wakefulness in the evening. But the light exposure has to come at the right time of day. Sleep onset insomniacs (whose goal is to get to sleep more easily) will—like night owls—want to expose themselves to bright light immediately upon waking up in the morning. The human body is most sensitive to light when it’s least expected. So half an hour’s exposure to bright light emitted from a light box as you’re getting dressed, eating breakfast, and reading the paper will be much more helpful than a longer exposure to light delivered later in the morning. Older insomnia sufferers prone to drifting off too early in the evening may be able to remain up and alert until later if—while they relax after dinner with a book or in front of the TV—they do so in a room flooded with light (or better yet, seated next to a light box, which emits a lot more light than standard lighting fixtures). Delaying bedtime may also help to consolidate sleep at night and possibly extend sleep a little later in the morning. 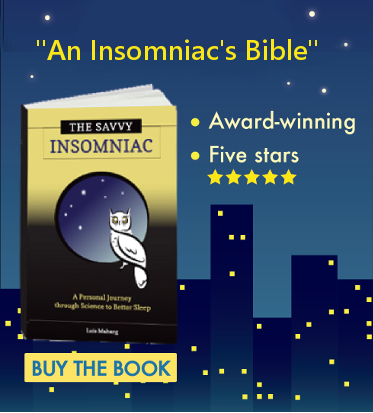 Authors of the meta-analysis found that in the insomnia studies they analyzed, the higher the light intensity, the greater was the effect. So if you’re shopping for light boxes, pay attention to the intensity of light different products emit. A light box that delivers light at the intensity of sunlight (10,000 lux) will give you the biggest bang for your buck. If you’ve used a light box, what effect (if any) has it had on your sleep? * Leon Lack and Richard Bootzin, “Circadian Rhythm Factors in Insomnia and Their Treatment,” in Treating Sleep Disorders: Principles and Practice of Behavioral Sleep Medicine, ed. Michael Perlis and Kenneth Lichstein (Hoboken: Wiley, 2003), 305-34.
very many people in northern climates are deficient in vitamin d and vitamin d deficiency hinders calcium absorption and calcium deficiency is a cause of insomnia and so this can help explain complaints of insomnia in europe/cananda/usa etc in november when those already deficient in vitamin d during the summer months will have even lower serum levels of vitamin d come november, until the next spring and summer when they boost their very low d levels a bit naturally from the sun. Q&A: Can Poor Sleep Show in the Face?